PHILADELPHIA - April 15, 2018 - PRLog -- Clergy leaders representing more than 50 congregations in Southeastern and Central Pennsylvania are planning a march and sit-in on Monday, April 16, 2018, at 4:00 p.m., at the Starbucks coffee shop located at 1801 Spruce Street in Philadelphia's upscale Rittenhouse Square neighborhood. The clergy leaders are from the highly regarded community organizing group POWER (Philadelphians Organized to Witness Empower and Rebuild) and will be dressed in full clergy regalia when they gather at The Philadelphia Ethical Society, a sister congregation, at 3:30 p.m. at 1906 Rittenhouse Square. The clergy leaders will then march and occupy the Starbucks at the Spruce Street location for two hours. 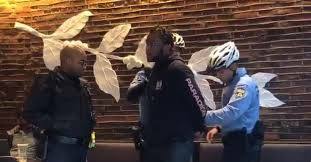 Monday's action is POWER's first organized response to the arrest, last week, of two African American men who were handcuffed and taken into custody by Philadelphia Police while they sat inside the Rittenhouse Starbucks waiting for a business partner. The arrest was videotaped, posted on social media, and the video has "gone viral" prompting international outrage and calls to boycott Starbucks. Both Starbucks and Philadelphia's Mayor have issued remorseful apologies; however, the Police Commissioner is defending the officers who made the controversial arrests. POWER is an interfaith community organization committed to building communities of opportunity that work for all. POWER represents more than 50 congregations throughout Southeastern and Central Pennsylvania. POWER is also part of the national, faith-based community organizing group "PICO" which represents 20,000 clergy leaders nationwide who are monitoring the situation in Philadelphia very carefully. Representatives from PICO will have a conference call with POWER clergy leaders Monday evening following the sit-in to plan and discuss future responses to the controversial arrest.